The landmark barn at the old Henkle place has been given a fresh look, complete with new windows, doors, soffit and fascia. The Pioneer General Store of Henkle & Littler, and the home of Harmon Henkle was located close to this site. Hinkletown was a boom-town from the 1850s - 1879. Hinkletown Video Documentary: "Rediscovering Hinkletown"
In the 1840s and 50s they came, the Irish, English and Germans, through the eastern ports on the Mississippi River, on horseback, ox carts, covered wagons, and even by foot, across a great trail that went from Muscatine to Fort Des Moines, and near the intersection of the trail from Iowa City to Oskaloosa. At the edge of the recently opened Indian territory, they found a heavily timbered site at a high spot on the trail, overlooking the English River. William Carter, Samuel C. Watters, Thomas Starkweather and their families all settled prior to 1846. Mordecai Suiter arrived with his family in the spring of 1847. 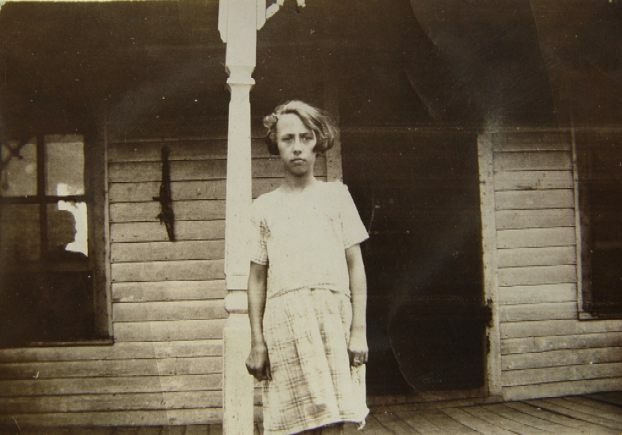 During the summer of 1849, the settlers gathered together and built a log schoolhouse called Hickory Grove. In the 1850s came the carpenters, one named Berrimand Breeden, a brick maker named William Watkins (1852), shoe maker Henry Chapman (1857), storekeeper Frank Lytle (1865), and a lumberman named Patrick Rock (1858), who built a sawmill. The earliest settlement was called Foote, and was built on the county line straddling Iowa and Keokuk counties. Businessmen from nearby Richmond, Wassonville and Daytonville, Iowa, also moved their families to Foote in order to start a new life. Harmon Henkle, from 1880 History of Keokuk County. Henkle operated one of four general merchandizing stores at Hinkletown. 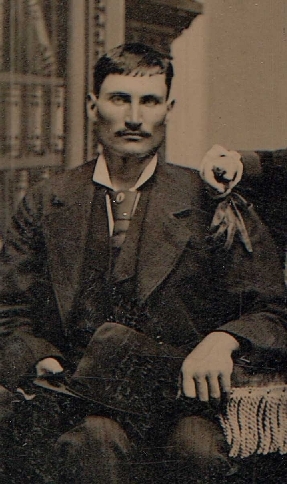 Harmon Hinkle (Henkle) came in 1858, a carpenter and son of an early settler and storekeeper from Richmond, Iowa. He bought an 80-acre farm just a mile north of the town that would soon be named for him. For a year he handled merchandise and goods on commission from Nathan Littler of Richmond, the start of a nearly lifelong partnership in diverse businesses such as banking, merchandising, furniture and lumber. In early 1861, the 28 year-old Hinkle traded his farm for Rock's sawmill, and soon built his house and the Pioneer General Store of Hinkle and Littler. By 1863, there were additional stores, a post office, stage stop, bank, a wagon maker, blacksmith, grain and implement dealer, doctor's office, cobbler, a school and two lodges, and the town became know as Hinkletown. A booming lumber and brick manufacturing business occurred in town during the Civil War, and made Hinkle a rich man. 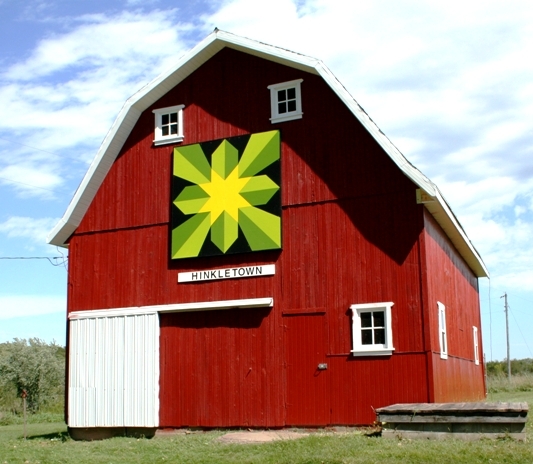 As long as the Diamond Trail had westward traffic, Hinkletown was a thriving little community, with approximately 200 residents. The business district reached its peak in the 1870s. In 1872, the railroad went through 9 miles south, and Harmon Hinkle gathered many of his business associates and helped to found the new town of Keota, Iowa, opening the first general store, bank, hardware and lumberyard there. That was the first big blow to Hinkletown. But the Irish neighborhood grew, and they built a church at Little Creek in 1875. A second setback came in 1879, when another railroad was constructed four miles south, despite the petitioning of Hinkletown residents to bring the railroad here. Several of the residents physically moved their houses and businesses to the new town of Kinross, Iowa, creating some of the first homes and businesses there. Others moved one mile east, to the settlement of Greene Valley, where the Foote Post Office was moved from Hinkletown around 1886. Yet another railroad, a north-south line, was constructed five miles west of Hinkletown, through North English, and also creating the new town of Parnell, Iowa. During this time, many of the remaining residents moved to Parnell and North English. 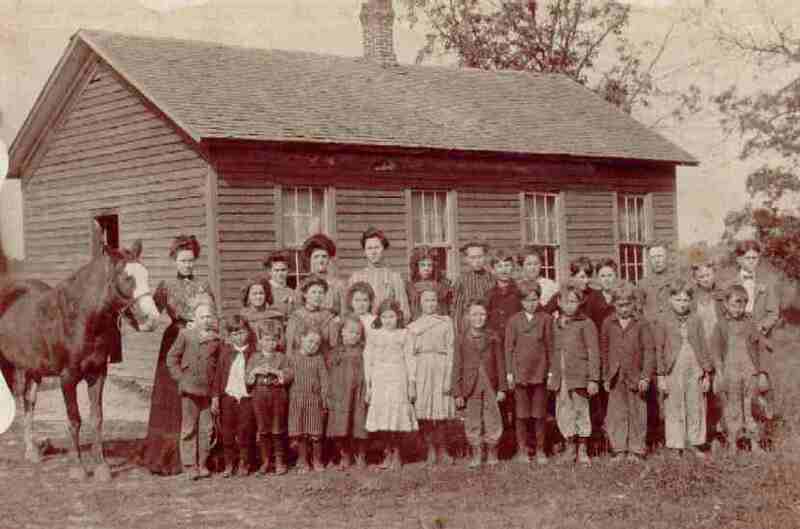 Hickory Ridge School at Hinkletown: the first log schoolhouse was built in 1849 by early settler families, the Carters, Suiters and Breedens. The second schoolhouse (above) was built in 1875, and replaced by the third and last schoolhouse at Hinkletown (below) in 1906. Hickory Ridge closed its doors for the last time in 1949. Over a period of approximately 50 years, Hinkletown grew, boomed, and went bust. According to the 1890 Rand McNally Atlas, Hinkletown had dwindled to a population of 44 residents. Brick manufacturing and a general store operated until the early 1900s. Foote Post Office shut down in 1903. 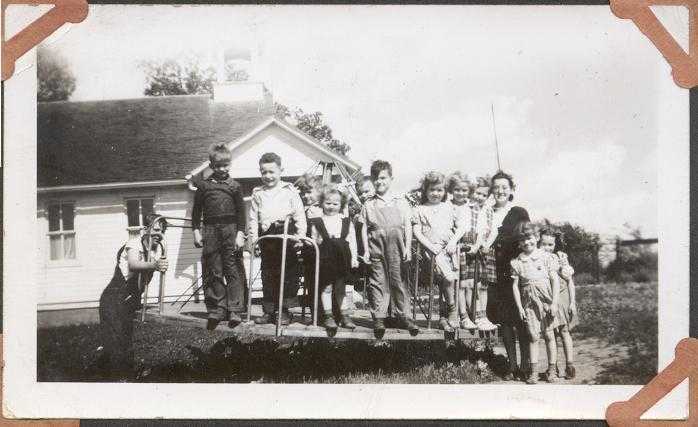 The Hickory Ridge School closed its doors in 1949. St. Patrick's Church was dismantled in 1965. Today, very little exists that would indicate a booming prairie town operated during the Civil War era. The area had once been home to several lodges and organizations, including Masonic (1863), The Independent Order of Odd Fellows (1892), Grange Hall (1874), Knights of the Golden Circle (1863), The Union Horse Company (1869), Ancient Order of Hibernians (1875), Rebekahs (1880s), the Merry Mixers (women's club, 1940) and the Greene Township Women's Club (1950). A few new homes have been built among the cornfields, and the broader area has become known as Greene Valley, an expanse of land surrounding the two branches of the English River, which converge near the old town site of Green Valley, a mile to the east. 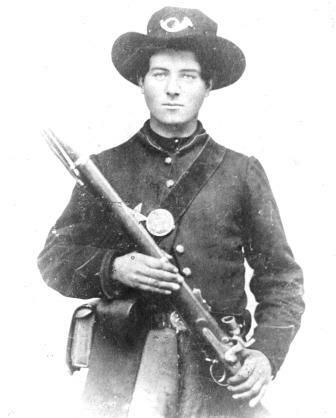 Jerome Palmer enlisted in Company B, 28th Iowa Infantry on July 24, 1862 and served in the Civil War for three years. He was promoted to company fifer on April 6, 1863, and was in battle with the flag (below). He mustered out at Savannah, Georgia on July 31, 1865, and returned to the Foote area, working with Harmon Henkle and Franklin Pettibone, at Hinkletown, Foote P.O. He married Pettibone's daughter Mary Ann. A recent discovery in the scenic Shenandoah Valley has our Civil War buffs very excited. Staff at the Newtown History Center, Stephens City, Virginia found an inscription and set of sketches on the bottom of an old store cabinet drawer, left in 1864 by a soldier of Company B, 28th Iowa Volunteer Infantry. The flag of this company and regiment is displayed at the Iowa Masonic Library and Museum at Cedar Rapids. Courtesy of the Iowa Masonic Library and Museum, Cedar Rapids, Iowa. Descendants of Ballard, Breeden, Carder, Martin, and Dixon families from Hinkletown - August 2, 2008. See photographs from the "All-families Hinkletown reunion" for descendants held on October 11-12, 2008. 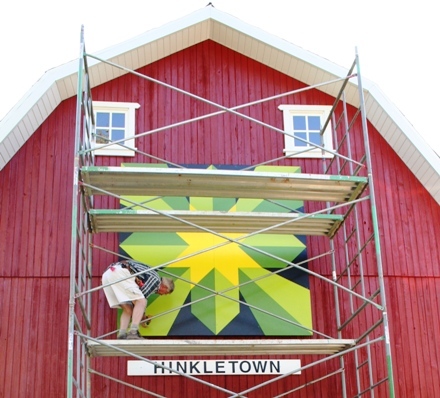 Hinkletown is located near the intersection of Washington, Iowa and Keokuk Counties, also known as Greene Valley. Adapted 1874 Map of Hinkletown Business District and Foote Post Office, with updated and researched locations. The post office (#14) was located just south of the C. F. "Frank" Lytle Store (#12), one of three general stores at Hinkletown (#'s 8, 12, and 18). 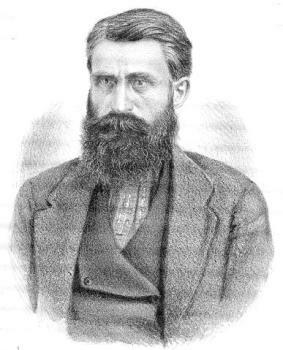 Harmon Henkle (#'s 18 and 19) was the first general merchandizing storekeeper at Hinkletown, and moved his business to the new railroad town of Keota, Iowa, in 1872, and became the first general storekeeper at Keota. William J. Watkins opened brick manufacturing (#'s 3, 11, and 15) as early as 1852. Storekeepers were: Henkle, Littler & Co, Harmon Henkle & Nathan Littler, Dixon & Miller, Edwin Dixon and James A. Miller, Axtell & Mathews, Philetus M. Axtell and T. P. Mathews, and C.F. Lytle. Visit the full map and location descriptions. Patrick Monaghan, 1863, Foote P.O., Company I, 22nd Iowa Volunteer Infantry. One of over three dozen men from the Hinkletown area to volunteer for service during the Civil War.